Just the other day I was about to vacuum when I discovered that the retractable power cord was seriously stuck in the vacuum allowing me to only get about 2 feet of cord out. 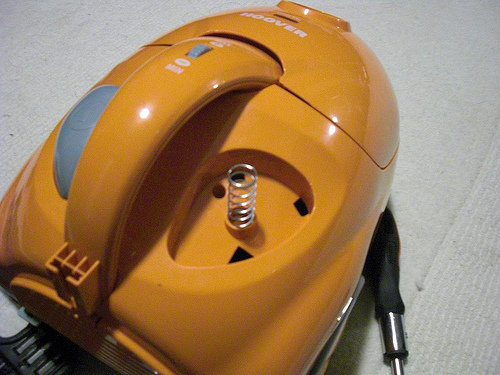 Of course the vacuum is constructed in such a way that it is nearly impossible to find what is holding it all together despite having removed all the screws that are visible. 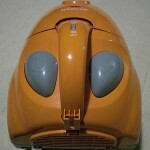 I own the Hoover S1361 Portable Canister Vacuum and from some searching it appeared other people were having the same issues as I was. Apparently this is quite common. Thanks to Joe on the thread over at FixYa, I discovered there was a 5th screw holding everything together. Unfortunately he had destroyed his vacuum tearing it apart. Good thing I did a search, I was about to do the same thing. I thought I’d post up some photos of the process to help along anyone else who might be going through this same problem. After getting the cord stuck I tried to open up the housing in attempts to unwind the stuck cord, there are 4 screws when you open up the panel that covers the filter that are easy enough to get at. However, there is a hidden 5th screw just underneath the cord retract button. The button has to be pried off and you’ll need to be careful not to snap the tabs that hold the button down. 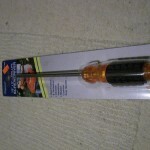 The screw is down a long hole, so you’ll need a nice long screwdriver to get at it. After the fifth screw is removed from the vacuum, the cover itself comes off rather easily. 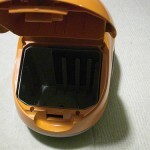 You’ll want to be careful still as there are wires attached to both pieces and a delicate circuit board on the inside. Now all you need to do is just unwind the cord from where it is snagged. Knowing how this all works now I’ll probably be careful with how it retracts the cord. I can’t get the grey button off to get the 5th screw out…. I’m scared I’ll break it. How did you do that? I only had one screw driver and it took some time, it’s probably easier if you have more than one flat head screw driver that you can use to pry at each of the tabs. You’ll need to be careful not to put too much pressure on them. 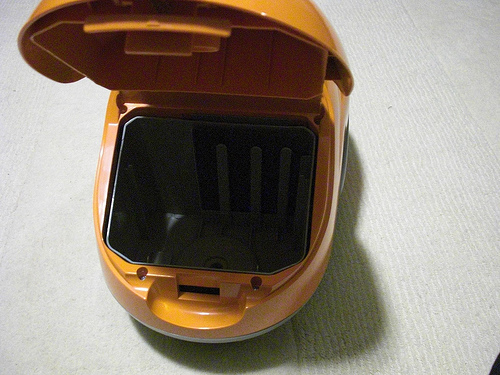 The button is most easily removed starting from the side closest to the handle of the vacuum. If you look at my picture of the cord retract button you’ll notice a fourth super long tab that goes horizontal. Make sure you don’t break this fourth tab or it’ll be very hard to retract your cord after as this is what actually pushes down on the cord retract button inside the casing. 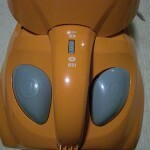 After you have the 3 vertical tabs pressed in enough you’ll want to try to pull up on the side closest to the vacuum’s handle and as you are pulling up and out slide that fourth horizontal tab out sideways. This is awesome! Our local repair shop wanted to charge $100 just to look at the vac (even though it only cost $59), and your reveal of the hidden fifth screw did the trick. For anyone else having a problem removing the gray button, I got it out simply by using a screwdriver to pinch in the tab closest to the handle, near the roundest “corner” of the triangular button (if you wiggle the button around you should be able to create enough space to see where the tab is located) and then pulling away from the long horizontal tab. Thanks, Ghosty! Thanks for this Posting . I was about to brake Vacuum my self, Cable stock and also pulled out power cord inside, Everything Fixed now. thank you again. Thanks for posting this…you are awesome. One of the best repair posts that I have seen. It took a long time, but we finally got the stupid button out. We wedged a zip tie (using small metal pieces) in to one of the notches (The one closest to vacuum handle) in the button. The grooves on the zip tie helped pull the button out. It was really helpful to fix my vaccum cleaner. I very appreciate your posting. Thanks for posting this! It was exactly what I needed. Really useful, before I wasted a lot of time trying to find the stupid extra screw. I almost wanted to kick the vacuum against the walls. Thank! What a relief! !I cannot thank you enough for this tip. All set to trash the cleaner in total frustration and then you came along. What a place to put a fifth screw! Thanks man, saved me a LOT if frustration! I did break one of the tabs though (mainly using a screw driver and some unfriendly words) but at least this amazing piece of illogical machinery is functional again. Thanks! To get the (cord retractor) button off, push it down all the way and you will see one tab. Pry it then work the other two tabs on the button’s corners. My ON/OFF switch melted, it can be replaced by removing the power button. 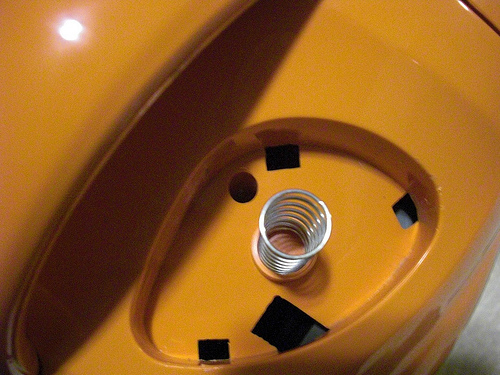 Then unscrew the bolt and lift up the black square cap, and you can pull the wires up and remove the switch. 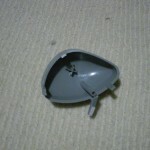 Thanks so much for this blog, I almost went crazy prying this thing apart! Thank you so much. I was ready to buy a new one. WOW! This is actually great, and I was able to fix it no problem with your detailed instructions. Keep up the good work! Thanks for the heads up on the 5th screw. I snapped one of the tabs on the cord coil button (same one as you), but fixed the snagged cable. i can deal with a wobbly button and promptly pitched the 5th screw. Thumbs down to Hoover on this one. 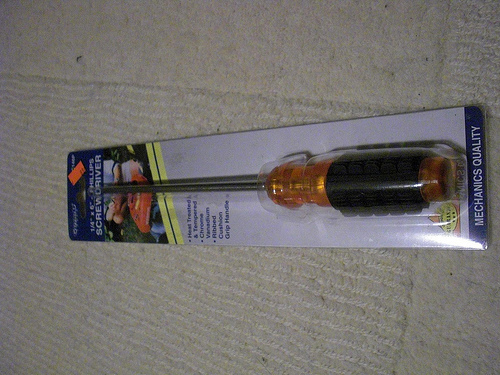 what kind of screwdriver did you use exactly? i tried for an hour trying to find that screw. Thanks a million!!!!!!!!!!! Thanks a bunch, I broke one of the tabs, but the cord is unstuck now, and working. Thanks a lot my wife appreciates it. Thanks for the heads up on the 5th screw – couldn’t find that one. Power cord untangled & it’s working again. Appreciate the post! Thank you so much. We waited on the phone with Hoover; no one could help. Called our local shop; also no help there. Thanks for posting and helping us out. GREAT JOB. I had to cut off 8 in of cord closest to the canister because of a wire break from cord flexing at the spool, and then to resolder the remaining cord. 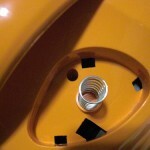 Having clear directions to the fifth screw and pointers on getting the plastic button out was key to easily accessing the spool. Thank you. Thankyou very much for the 5th hidden screw tip.You made my day!! Thanks! 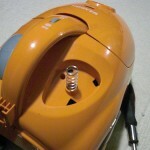 I fixed my vacuum! Thank you so much for sharing this information, I tried for two days, and I was getting so frustrated!!! I finally fixed it!! Yessss!!! Please support 180 movie,by watching it at: 180movie.com. Millions of people have watched this powerful documentary—and we want it to go worldwide!!! It has changed my life!! I vacuumed straw out of my Explorer at -10C, and the cord became too stiff to rewind – so I “helped” it. Went off the spindle and jammed on next pull. Hoover was no help. Prohibitive cost to return for warranty. But easy to fix after I learned of the 5th screw! Thanks for posting! OMG Thank you SOOOO much for posting this!!! Someone in my family retracted the cord and it got stuck inside and I could not get it out so I pulled and pulled, trying not to force it so much that it broke and it finally came out, but then the vacuum wouldn’t turn on when I plugged it in. I tried and tried to get the canister apart but couldn’t so I got on line and finally I found your post and the hidden 5th screw and got it apart and all I had to do was fasten the wire back on and now it works again!!!! Yay!! Thank you Thank you Thank you!! Thank God for the internet! You made my day! 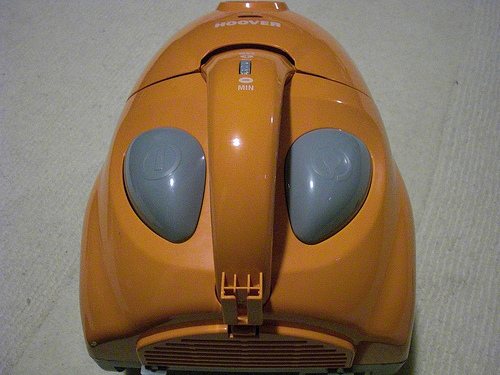 I had spent an hour trying to take my girlfriend’s vacuum apart until I decided to look on the internet. I am a hero because of you! Easy, straight-forward post! My wife loves me when I seem like a handyman! We need more people like you! Thanks! Thanks so much! I knew the had to be another wcrew in there somewhere. Or a tab. Or a “twist to release.” Or something. I was about to rip the plastic off and I found this posting instead. I did lose a tab on the cord real release, but since people end up wrapping the cord around the vacuum half the time anyway, we are still fine. Thanks!!!!! Thank you! I almost gave up and was going to pry the heck out of it until it was busted…I knew there had to be a 5th screw somewhere!!! This is awesome as it saves me shelling out for a new vac. Stuck cord. Could not find the fifth screw. Was ready to write it off by launching it into low earth orbit out my fourth floor window. Thanks to you the unit will continue to spend time doing its thing on my floors. Cheers. Wow! Thanks so much for the detailed instructions. I got it fixed in less than 10 mins! Thanks for posting this! It was exactly what I needed.It’s really helpful. Haha, i should have looked here first, i couldnt find the screw so i used my saw to cut a big 6 inch long by 3 inch wide access hole in the right fender of this thing. Sealed it up with duct tape and its good to go! I thought I was going to break something into I found your post. Thanks again. Thank you, thank you! This is what the internet is all about. Right after iI called Hoover who couldn’t help I tried one last Google question and found this tip. I agree this is the best repair tip ever. Very clear and pointed out where to be careful. Got my button off with all tabs in place. The retractor is a little sluggish but at least its accessible. The tip from January 2009 still applicable in January 20015!! I bought a used S1361 through eBay (it’s just the unit; there’s no hose or wand or anything – it’s exactly what I wanted) because I wanted to replace my existing S1361. 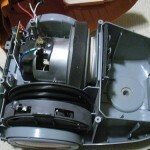 The reason why is that its variable speed no longer works (the dial is also difficult to turn). 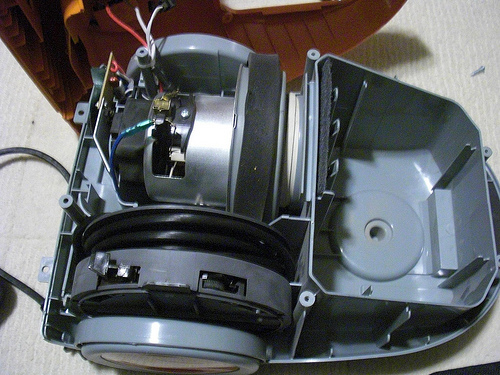 However, there’s a problem with the eBay unit that the seller did NOT put in the description, nor did they show this with pics: the hood is missing the entire latch assembly. 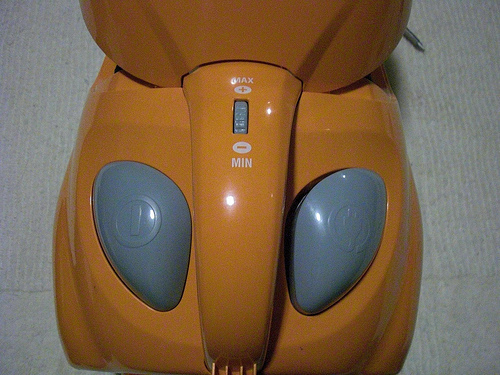 Not only that, but the swiveling wheel (for steering the vacuum) squeaks like crazy. My S1361 doesn’t have these 2 problems, so I decided that instead, I’d just use the eBay unit to perform a DIY repair on my S1361, which is otherwise still in perfect condition. 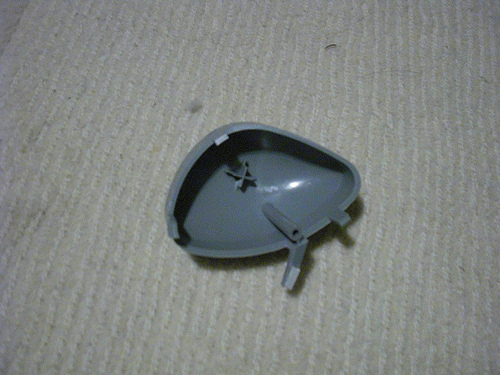 However, just like you and everyone else, I couldn’t figure out how to pull the shell off once I removed the 4 screws. So, thanks to your post and good pictures (and also thanks to your answers to the questions that were asked), I had no problem removing it! In addition, I have also already unplugged and removed the variable speed dial, but I was so happy about getting this far that I decided to stop to give you my gratitude. The best part is, I only paid $34.00 shipped for that eBay unit. That’s not bad for the cost of a repair plus having an entire unit for spare parts – and also the value of being able to repair it myself! 🙂 Thank you. 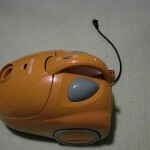 Oh, and regarding the problem with the retractable cord: this problem is easy to avoid. All you have to do is, make sure you always straighten AND UNTWIST the cord before retracting it (and also WHILE you are retracting it, but never ONLY while you’re retracting it). Does this make sense? It’s hard to explain what I mean without a video. So, you straighten it out and you also untwist it so that it lays flat, or at least as flat as possible with no obvious twisting. Then, you loosely grab the cord with one hand while you hold the retracting button with the other. The reason why you hold the cord with your free hand is, it’s important to guide the cord back in, making sure it’s not going in at an angle. Plus, your hand can kind of clean the cord off while it’s going back in to avoid building up lots and lots of dirt and dust inside with each rewind. IMPORTANT: while retracting it, you sometimes also have to stop retracting it (release the button) and pull the cord back out a foot or two (or more) in order to renew the tension. I mean, you can’t always just push and hold the button until it retracts all the way. Well, sometimes you can, but sometimes the retracting power becomes weak, so like I said, you can re-strengthen it by releasing the button and pulling the cord back out a little bit past the point where it began to weaken, and then push the button while your free hand guides it back in as I described in the previous paragraph. You might have to repeat this more than once every now and then before you finish retracting it. So what you’re doing is, you’re basically tightening the cord around the wheel, rather than allowing it to be LOOSELY coiled around it, especially as you get toward the last quarter of the length of the cord. Another reason why you sometimes can’t just push and hold the button until it’s completely retracted is that sometimes, you have to stop and straighten and untwist the cord. So, if you always make sure the cord is tightly AND EVENLY coiled around the wheel and is also NOT twisted, then you should never have any issues, unless the retracting wheel wears out (which mine is somewhat beginning to do). It’s kind of similar to how you always have to guide a garden hose back onto the reel so that it’s not all messed up. With this technique, I’ve never had a problem retracting the cord, and I’ve been using the S1361 for well over 5 years, so I know that this will work for you as well. In other words, you just have to be very kind to your S1361. 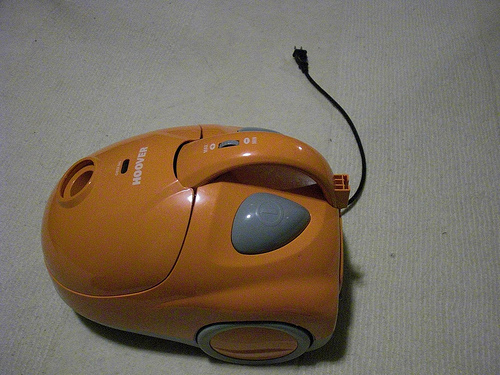 After all, it’s an extremely low-cost budget vacuum cleaner. I mean, I wouldn’t expect this much hassle from a unit that costs like 5 times as much. Y’know? Again, thanks for posting! Mine quit working, and once I got it opened up, I found two wires that weren’t plugged into the cord spool unit. Back in action. This thing has been broken for a year or so & I finally decided to take it apart, or the wife was going to buy a new one today. Postponed the purchase for a bit I guess. Thanks so much for putting this up!! Probably saved myself a bit of cash!! Wow! This was a huge help! Thank you!